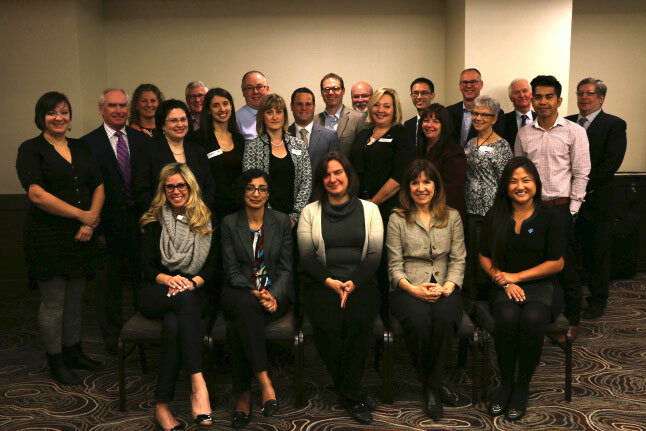 I recently attended NeuroDevNet’s Community for Brain Development inaugural face-to-face meeting in Ottawa, ON this past October 6, 2014. Despite having attended 2 teleconferences prior, and providing input on the agenda and facilitation of this first face-to-face meeting, I have to admit, I didn’t know what to expect. I was delighted at how good natured and sincere everyone was, and it was made better by a collective sense of humour that carried throughout the day. This day-long meeting was characterized by a tangible synergy in the room. The highlight of the day was when representatives from the 21 organizations in NeuroDevNet’s Community for Brain Development self-divided into 3 groups based on their interest in either: training and development, advocacy and policy, or knowledge translation. Facilitated discussions continued until 3 top ideas emerged, representing what they thought were the greatest needs within training, policy or KT specific to early brain development and what they are doing in their respective organizations. The outcome was a list of several activities the group could work on together each led by a different C4BD sub-group of members who volunteered their time and resources. 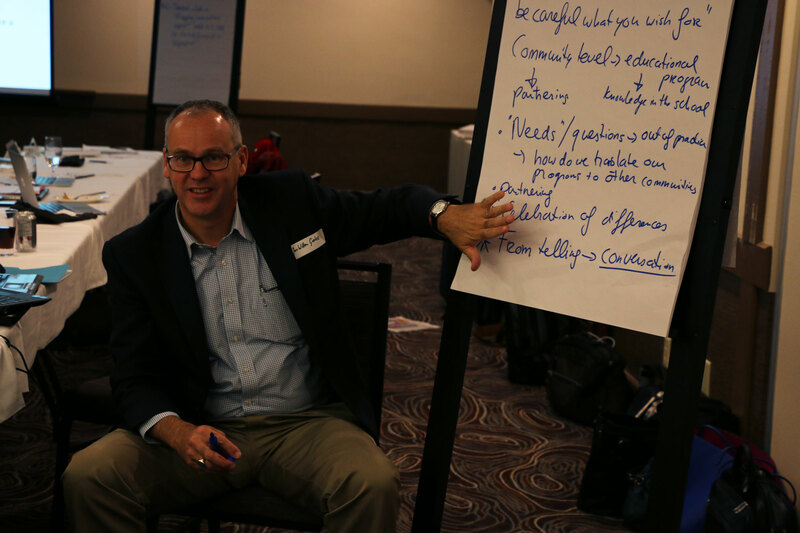 Jan Willem Gorter (CanChild) facilitated the KT discussion and NeuroDevNet’s KT Core have planned a follow up discussion to figure out “what’s next”. The day ended with short presentations by 2 MPs (Mike Lake and Eve Adams) and the Deputy Director of BL-NCE and NCE programs Stéphanie Michaud. Mike Lake’s message was poignant: not only do you need to come together as a community you need to have the right people. Looking around the room, he said, he believed we have the right people to be able to make a difference. Based on my experience that day, I think he’s right. The KT Core provided support before the meeting by providing input into the structure of the meeting agenda and facilitation techniques including crafting a focus question for the small group breakout discussions. During the meeting, the KT Core took photos and video footage (photos for use in future presentations and reports, footage for creating a video about the Community for Brain Development), assisted with flipchart note-taking, tweeted in real-time, and participated in the large and small group discussions contributing KT expertise. If you have created a community of practice within NeuroDevNet or are planning a stakeholder meeting, contact the KT Core for support. Knowledge translation catalyzes the movement of research evidence into impacts on policy and practice. We see the research. We see the impacts. We don’t notice the knowledge translation. 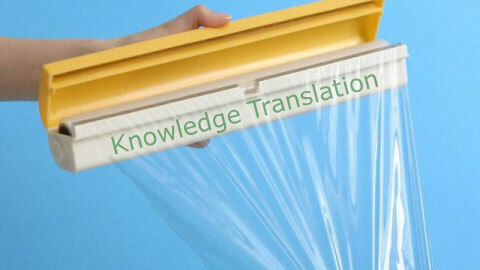 Knowledge translation is like cellophane. “Cellophane” is a song from the show “Chicago” about a guy who is never noticed. He is invisible. People always “look right through me, walk right by me, and never know I’m there”. That’s knowledge translation. If we do our jobs right, we are invisible. In any story of the use of research and evidence to inform policy or practice, the focus must be on the impact of research – the improved public policy or the new professional practice. The focus should not be on the knowledge mobilization that helped maximize these impacts. Knowledge translation is the process of connecting people to people and people to evidence. The process shouldn’t be the focus. The focus should be on the outcome(s) of people turning that evidence into action. In 2009 York University’s Knowledge Mobilization Unit was able to connect Valerie Ryan (Nottawasaga Futures, a non profit economic development agency in rural South Simcoe) with York researchers and students to help imagine, develop a business case, secure funding and launch the Green Economy Centre. The Green Economy Centre helped rural businesses join the green economy by securing funding and finding the right expertise to help them make the right green decisions. This created 18 jobs and supported 221 jobs. The Green Economy Centre was a social innovation. Its launch was the focus of media attention. Highlighted, was 1) the students who collaborated with Nottawasaga Futures, and 2) the research they undertook. The Knowledge Mobilization Unit was not mentioned. We were invisible. We were cellophane. And that’s why we tell the story of the knowledge mobilization that helped maximize the extra academic impacts of the research. In this regard, knowledge translation is like a catalyst in a chemical reaction. Catalysts help chemical reactions go faster with less energy but itself is not part of the beginning substances nor the final chemical product. A catalyst is that arrow in any chemical reaction A+B -> C. it is neither A, nor B nor C. It is invisible. But it helps to maximize the amount of C produced. This invisibility raises some challenges for any knowledge translation function. How do you gain credibility for a function that is invisible? How do you evaluate a function that no one notices? How do you allocate success to knowledge translation when the partner’s impact was enabled by the researcher’s evidence, neither of which are the function of the knowledge translation professional? How do you justify resource allocation for an increasingly specialized and professionalized function? 1) Retrospective: Reflecting on a portfolio of knowledge translation successes you are able to tell the KT back story to the impacts of research. You can illustrate how your KT services helped to maximize dissemination of evidence to partners, or the uptake of evidence by partners or the implementation of evidence into policy or practice. You can make videos to tell the KT story behind the impact. 2) Prospective: this is difficult but necessary to secure resources for KT. You need to explain to stakeholders the catalytic role you can play. You need to become useful to their “chemical” reactions. You can help with logistics to turn a meeting into stakeholder engagement. You can be the glue that facilitates conversations between busy researchers and even busier policy partners. You can make evidence accessible through specialized services such as videos or clear language writing. You can provide training for KT tools such as social media. The goal of KT is to help the worlds of research and practice/policy to come together and create shared spaces of collaboration. Impacts of research can then arise out of these shared spaces of collaboration. Knowledge translation professionals help this happen. We do this unobtrusively. We do this from the wings, not from centre stage. We are catalysts. We are cellophane.